Uninstall what you don't think you'll play for the next six to nine months, scandisk and defrag your drive. The sequel has landed and you are going to be in for a treat. I will say now that this is the hardest editorial I have had to write. Why? Because I have had to pry myself away from playing what I believe to be the best game of all time. You thought "The Sims" was good? This is better. This brief editorial is not our complete review of the sequel to the best selling game of all time. Yes, we will be reviewing this game properly and as there is so much to cover, there is a lot to write and a lot to read. It is more a brief summary of what I have seen so far and just had time to glance at. I suppose I'd better put my money where my mouth is and give you my first impressions on my first week of playing. Firstly, a quick word on what you might require. In order to play the game to its fullest and not be disappointed with performance, you need a good processor, a lot of RAM and a good graphics card. I have tested the game on both my customised Dell desktop (Pentium IV 2.0Ghz, 768Mb RAM, nVidia GeForce FX5600) and my Compaq Presario laptop (Athlon 1.4Ghz, 256Mb RAM, ATi) and have noticed performance differences. On my desktop, it runs fairly smoothly but there is noticeable slowing on the laptop going from home to neighbourhood or community lots. Everything is in 3D, which means more detail and closer to reality. No longer the old familiar isometric perspective, you are now in proper 3D and can get up close and personal with your sims and the neighbourhoods in which they live and the traffic that comes and goes. 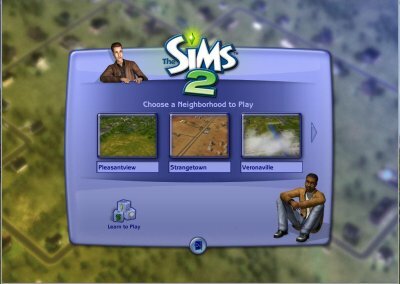 Your sims live in neighborhoods but unlike "The Sims", you can arrange the neighborhood as you choose. There are three neighborhoods already there with sims living there. Pleasantview, Strangetown and Veronaville. You can also create your own from templates available and even import terrain from SimCity 4 to work from. You can choose whether your area is going to be community or residential. For those of you who have read my reviews of the expansions for "The Sims", you will know my pet peeve. Thankyou, Maxis, for listening to me and thousands of others. For the architects of the sim community, roofs can now be built with Gable-end roofs. Also, doors and windows can be placed on diagonals. I do have some criticisms of the architectural tools. For one, it is a shame that furniture can't be placed on diagonals. So much for putting your sims' television in the corner of the front room. People can pass in narrow corridors and not stand there waving their arms around until you move one of them. People don't walk into the bathroom as frequently when it is already occupied and when they do come in, the person who was already in there does not stop and forget what they were in there for. They get on with it. Through the 6-stage Create-A-Sim process, you can create extremely detailed sims. The permutations are almost endless. 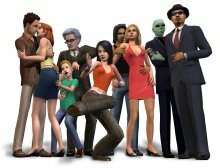 You may have thought they were good in "The Sims", but in "The Sims 2", they are incredible. Also, with the introduction of genetics, you can create children that inherit physical traits of their parents. You can see your sims become pregnant, go through morning sickness, have their baby and then you have the fun and heartache of raising the baby and seeing it go through the six stages of life. From baby to toddler, from toddler to child, from child to teen, from teen to adult, from adult to elder. During their lives, they can also become ill. Although you don't see them at work, they can lose their jobs or even get promotions from making decisions in the workplace that you are called to make from time to time. Unless you turn aging off, your sims will ultimately die. You can try and prolong their life with healthy eating, exercise and a magical elixir. If they do have children, however, they will live on through their DNA. 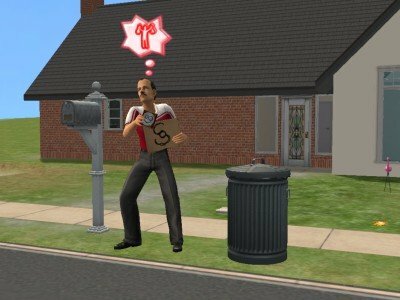 In "The Sims", achievement was seen more in the size of house and how good a job your sims had. Now, from becoming a teen, they choose their own ideas of what they want from life. There are five aspiration tracks. Wealth, Popularity, Knowledge, Family and Romance. 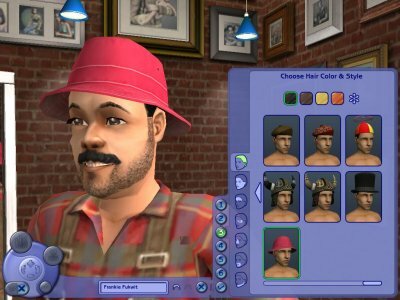 If your sims are successful in fulfilling their aspirations, they can get reward objects. These include a money tree, special baby bottles to make your toddler learn quickly with a green eerie glow and to the elixir of life which can prolong your life.However, if some of their major fears are realised, your sims can go to pieces and behave very erratically. On first impressions, it is excellent, awesome, incredible and intensely addictive. However, it is not perfect. I have my criticisms of what I would have liked to have seen in the game but are sadly missing. Nevertheless, the new content, the excellent graphics and the vastly improved gameplay has made me very content. Our in depth review will look at all of different areas of the game, how good it is and how it could be even better. As there are expansions already planned and more than likely in development to be ready for the provisional release of the first one in February, hopefully what is missing will be included. In the meantime, before the first instalment of the indepth review, I have a birthday party to organise for a glowing toddler who wants to grow up. Dag dag! Written at 02:44 on Saturday 25 September 2004 by Andy.